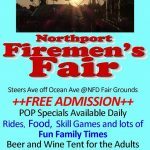 The Northport Volunteer Fire Department will hold their annual Firemen’s Fair from Monday, July 9th through Saturday, July 14th. 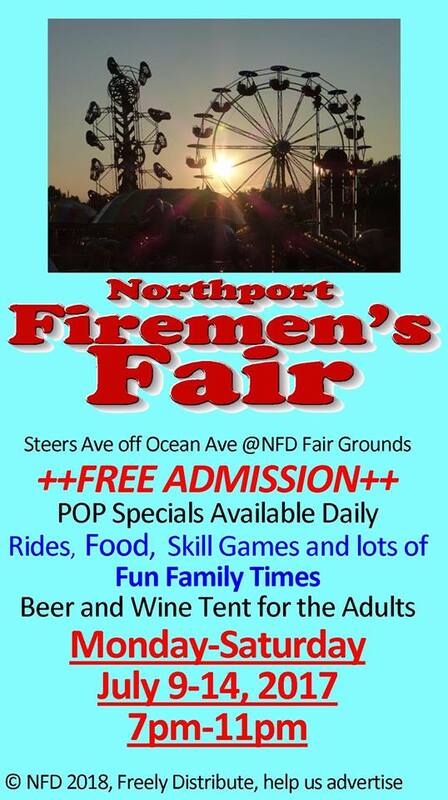 The fair is located at the fire department grounds on Steers Ave, off of Ocean Ave in Northport. The six day carnival will have exciting carnival rides for all ages, delicious food and treats, beer and wine garden, carnival games, and much more. Admission to the carnival is free.